Desktop GIS explores the world of Open Source GIS software and provides a guide to navigate the many options available. Discover what kind of GIS user you are and lay the foundation to evaluate the options and decide what software is best for you. Desktop GIS examines the challenges associated with assembling and using an OSGIS toolkit. You'll find strategies for choosing a platform, selecting the right tools, integration, managing change, and getting support. The survey of OSGIS desktop applications provides you with a quick introduction to the many packages available. You'll see examples of both GUI (Graphical User Interface) and command line interfaces to give you a feel for what is available. 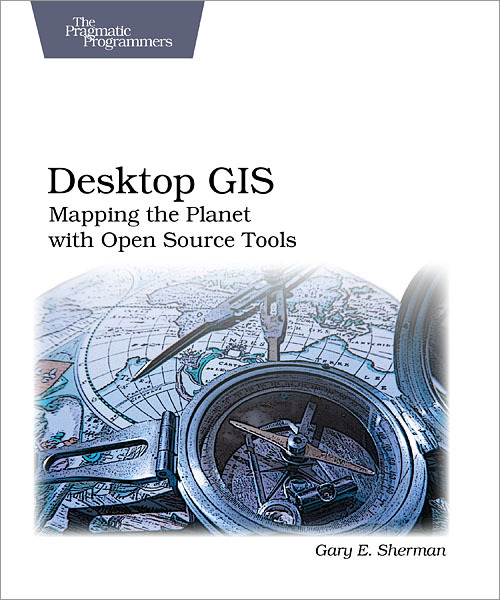 This book will give you an understanding of the Open Source GIS landscape, along with a detailed look at the major desktop applications, including GRASS, Quantum GIS, uDig, spatial databases, GMT, and other command line tools. Finally, the book exposes you to scripting in the OSGIS world, using Python, shell, and other languages to visualize, digitize, and analyze your data.